Selecting appropriate attempts, at powerlifting competitions, is a lost art. Too often, lifters fail to reap the rewards of a long training cycle because they select poor attempts. “Winning isn’t everything; it’s the only thing.” – Henry Russell Sanders, UCLA head football coach, 1956. This famous quote epitomizes the competitive spirit that permeates sports in our society. While this attitude is entirely appropriate in many sports arenas, it doesn’t make much sense in powerlifting. 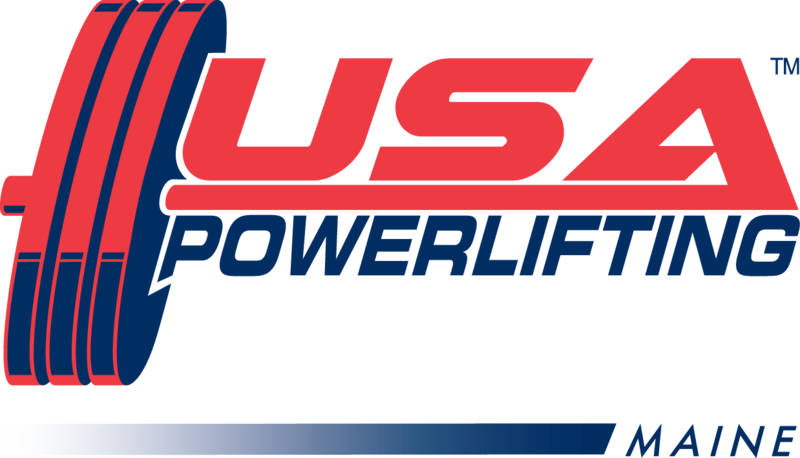 Powerlifting measures physical strength and while competitors typically compete in weight classes against others, their primary goal should be to exceed their previous efforts. Unless you’re competing at the highest levels, winning should be of secondary importance. 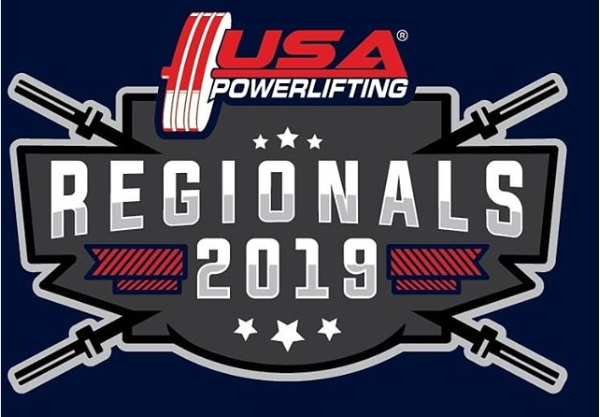 Accordingly, Grantland Rice’s famous quote, “ . . .it’s not that you won or lost, but how you played the game,” would be more germane to a powerlifter’s quest. Some might argue that this is a losing mentality. If it’s a loser’s mentality, then I’d like to hear from all the lifters who often win but rarely hit personal records (PRs). I doubt they’re very content with their performance. 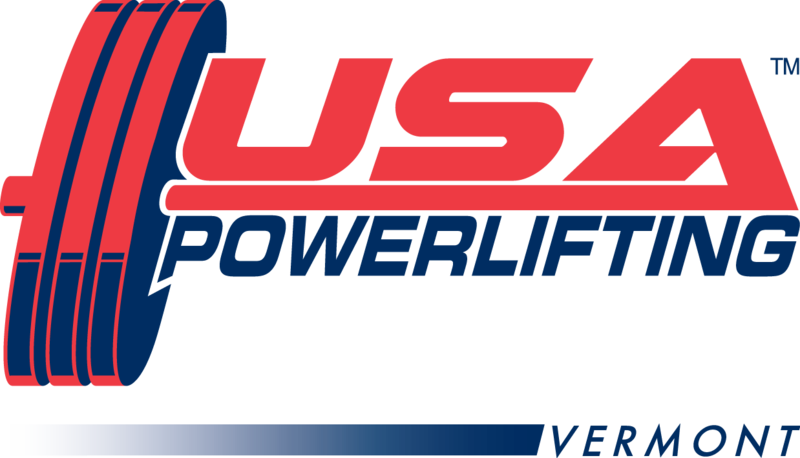 Success in powerlifting is measured by PRs. The key to hitting PRs is making attempts. Awards, championships, and titles are all nice but they’re rather meaningless if you’re not improving. I have always maintained that I would rather place last, while hitting PRs, than win a competition on a bad day. I regularly peruse meet results, from every level of competition, and I’m astonished by how many attempts are unsuccessful. I’m aware how difficult it is to push our physical limits beyond what normal folks find plausible. That being said, powerlifters of all levels should make the majority of the lifts they attempt. I am not impressed by the lifters who attempt the heaviest poundage. Instead I’m inspired by those that are actually successful in breaking new boundaries by setting PRs and making most of their attempts. 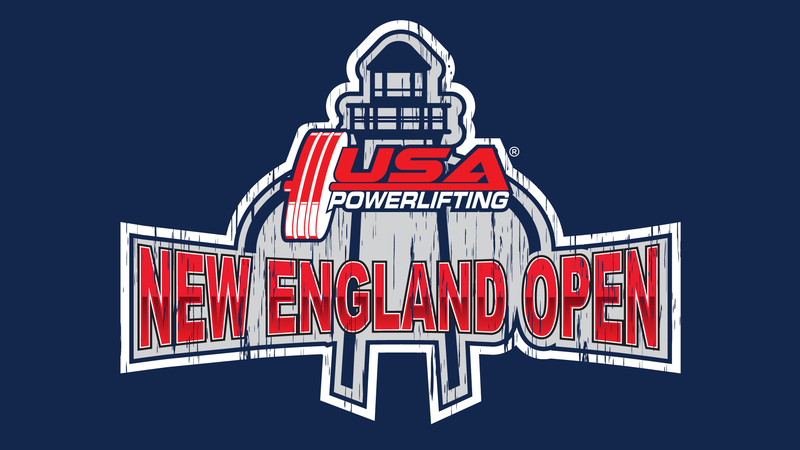 Opening with 750 pounds in the bench press and missing it three times is not nearly as remarkable as the lifter who opens with 452 pounds and after three successful attempts finishes with 496 pounds. That’s the difference between good lifting and bad lifting. Just because you possess prodigious strength doesn’t mean you’re automatically a good lifter. Good lifters make most of their attempts. Some of the strongest people I know are horrible lifters. On the other hand, lifters with much less strength are sometimes the best lifters. Being known as a great attempter is not a title one should strive for. 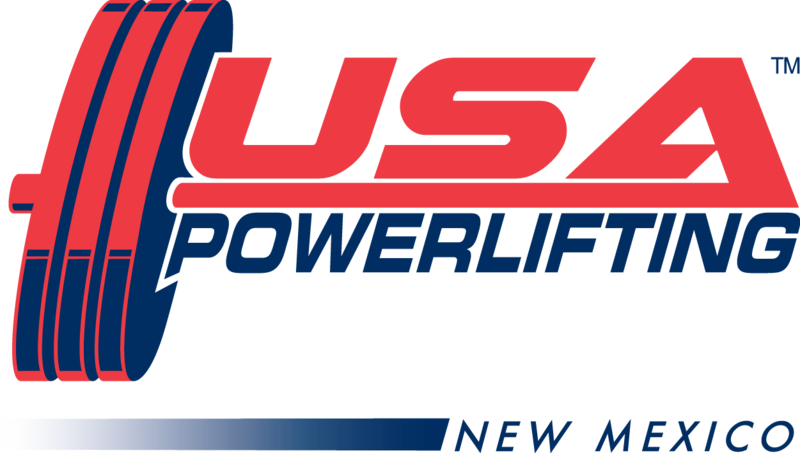 The name of the game in powerlifting is making lifts and hitting PRs. Period. Selecting appropriate attempts, at powerlifting competitions, is a lost art. Too often, lifters fail to reap the rewards of a long training cycle because they select poor attempts. Powerlifting isn’t like golf. In golf, you can shoot a bad round, then go out the following day and get the sour taste out of your mouth by shooting a low score. In powerlifting, it takes months to prepare for one day. And once that day arrives, you only have nine chances to harvest the fruits of your labor. After that moment, it’s back to the drawing board where we have to analyze what worked, what didn’t, and hopefully we’re able to formulate a successful plan for our next competition. Do not make the mistake of missing an opportunity to display your strength and enhance your total by making poor attempt selections. 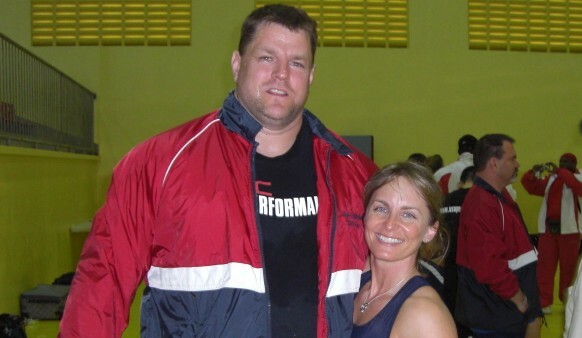 Brad Gillingham and Sioux-z Hartwig-Gary are two prime examples of lifters who make wise attempt selections. Selecting appropriate attempts accomplishes three goals. It enables you to progress from one attempt to the next without shocking the body and central nervous system (CNS). It affords you the opportunity to build a respectable total and creates the potential to achieve a PR. The only attempts that matter are the ones you make. Nobody cares about your opening attempt. That’s worth repeating. Nobody cares about your opening attempt. I grow tired of hearing and reading about lifters who open with outlandish numbers. Opening too heavy does little more than initially impress the audience. So, if impressing audiences is your primary objective, then stop reading now and I wish you the best of luck. For those of you that don’t want to look like an inexperienced fool, follow me and I’ll illuminate a smarter path to hoisting your heaviest weights. Prior to your competition, prepare an outline of tentative attempts. Have light, medium, and heavy options for your second and third attempts. If your warm-ups don’t go as planned, lower your opener. It’s better to get in the meet and take a slightly larger jump to your second attempt than it is to bomb out completely because you were so fixated on a particular opener. The first attempt (opener) is the most important attempt of the three because it’s first. Your first squat is like making that first hit in a football game. It sets the tone for the entire competition. If your opener is too heavy, doesn’t go as planned, or you simply miss it, the odds are much greater that you will miss your second attempt. In fact, if we compiled statistics on lifters who miss their openers, I’d bet the farm that most of them also miss their second attempt. This is especially true when the opening attempt is too heavy. Unless you’re a freak like Eddy Coan, you won’t be winning any competitions with your openers. If you open too heavy, not only won’t you win, but you’ll rarely have the opportunity to make it to your heavier attempts. Your best bet is to check your ego at the door, open lighter, and build some confidence. The key to building a nice total is making lifts. The more attempts you make, the more likely you are to achieve a personal best. The primary purpose of your opener is to get you in the meet. Three failed attempts, in any one discipline, results in a “bomb out” and that represents the worst scenario for a powerlifter. Secondly, the first attempt sets you up for a successful second attempt. An easy opener also has a snowball effect and will build tremendous confidence going into your second. The best way to select an appropriate opening attempt is to treat it like your last warm-up set. If you do this, you will rarely miss it and often be heading into your second attempt, on a positive note, with confidence. In the mid-1990s, when I trained at Maryland Athletic Club alongside powerlifting legends Kirk Karwoski and Sioux-z Hartwig, the rule was: open with your best triple. Whatever weight you could successfully hit for three solid reps was a safe opening attempt. For first-timers, we periodically subtracted 20 pounds from that number. More experienced lifters could open with their best double but that still wasn’t as surefire as your best triple. While there are no steadfast rules for selecting opening attempts, now we typically plan in terms of percentages. With respect to attempt selection, I coach all my lifters the same way. Your opener should usually be between 90-92% of your one-rep max (competition PR). Tod Miller, the powerlifting coach at Plainwell High School in Michigan, insists that all his lifters open between 85-88% of their best. While I think this is a little on the light side, I can’t argue with his results. I have never seen one of his lifters miss an opener due to a lack of strength. Personally, I’ve never opened heavier than 93% of my best. People often forget that anything above 90% is considered heavy and when lifting heavy loads, there is much less room for error. Your technique needs to be sound enough to maintain the integrity of your form throughout the lift. Once you get above that 92-93% range, you’re skating on thin ice. As an example, if we use a lifter with a 523-pound (237.5kg) personal best squat, we’re looking at an opener between 470-480 pounds (approximately 90-92% of max). Assuming training went well, then I would have him open at 474 pounds (215kg). Most lifters with a 523-pound max can likely triple or at least double 474 pounds, possibly more. This confirms the “best triple” rule. In essence, the opener should be easy enough that you can make the lift on your worst day or if something goes wrong. The best laid plans often go awry on meet day. You can’t control the timing of flights, the general flow of the competition, the strictness of the judging, loading errors, etc. Consequently, the opener should be something you can hit even when the world around you is imploding. Case and point, in 2006 when I squatted my all-time PR of 584 pounds (265kg), I was wrapped too long before my opening attempt. It wasn’t my handler’s fault. Unfortunately, there were no 25kg plates and the spotter-loaders had to switch from the 20kg plates to 50kg plates. Fifty kilogram plates are huge and cumbersome. Consequently, the weight change took longer than anticipated and I was standing in my wraps for an extra minute prior to my attempt. My experience prevailed and I remained calm – closing my eyes and visualizing a perfect lift. Fortunately my 529-pound opening attempt was light enough and I smoked it. If you do the math, 529 pounds works out to 91.3% of 579 (my previous PR). Not only did I walk off the platform ready for a strong second attempt but I was supremely confident knowing that I just crushed 91% of my max under poor conditions. Lifters using supportive equipment need to be even more careful selecting their openers. They are confronted with the issue of opening light enough to get in the meet and build confidence versus selecting weights heavy enough to allow them to achieve proper depth in the squat or touch their chest in the bench press. The modern day bench shirts change the rules of training. However, they should not change how you approach your opening attempt. Even if it means opening in a looser shirt and then switching into a tighter one, there’s no excuse to not touch your chest with an opener. How much weight it takes to touch your chest, the groove of your shirt, etc., should all be determined beforehand in training. Do not leave this to chance on meet day. You must account for last-minute bodyweight changes and the way your gear will fit. The same goes for your squat suit and knee wraps. There is no excuse for not being able to achieve proper depth with your opening attempt. The opener should be as automatic as any attempt you’ll ever take. This is crucial in the deadlift where as the day wears on, your energy reserves become depleted. Therefore, it’s a good idea to make your opening deadlift attempt one of the easiest lifts of the day. We’ll often open right around 90% and sometimes even a pinch lighter to ensure that we stay alive and register a total. If you’ve set a record in either the squat or bench press, it’s always a smart idea to open light in the deadlift to make sure your record counts. In the event that you miss your opener – repeat it. That’s right, take it again. One of the most common mistakes in attempt selection is increasing the weight after a missed attempt. The instances in which this should be done are extremely rare. It’s one thing if you beat a “rack” command or take an extra step because the weight was so easy. Even then, I’m an advocate of repeating the opening attempt. The probability of making a successful second attempt after a failed first attempt is very slim. Some coaches increase their lifters’ second attempts if they weren’t able to get deep enough or touch their chest in the bench press. Again I implore you to get those issues resolved prior to competition. Unless I’m dealing with an advanced lifter with many years of competition experience, I would never advocate increasing the weight after a failed attempt. I especially wouldn’t allow it if the lifter missed the attempt as the result of a strength issue. What on earth makes you think you’ll magically have enough strength, on the second attempt, to lift more weight than you missed on the first one? A missed opener immediately puts you in a deficit below what you had planned and hurts your psyche. A positive attitude means everything in the world of physical achievement and powerlifting is no different. A missed opener puts you behind the eightball and places unnecessary stress on yourself. Now there’s increased pressure to go out and make the second attempt. That pressure increases with every missed attempt. Over the past few years, I have watched a local competitor bomb out of six competitions. That’s right. He’s made zero of 18 bench press attempts. But he’s the king of the warm-up room. He struts around at only 165 pounds bodyweight and benches nearly 450 pounds off of boards. Wonderful. Then he goes out on the platform and either can’t touch his chest with his opener or gets stapled. With each attempt, you can see his energy draining and his attitude fade. I have always wanted to say something to him but he knows more than me. After all, he board presses in the mid-400s in the warm-up room. Is this guy strong? Maybe. I guess we’ll never truly know until he makes an attempt. Is he a good lifter? Absolutely not. Missing lots of attempts, regardless of how much weight is on the bar, is not good lifting. Do not be the fool who falls into the trap of opening the heaviest. The last attempt you make is the one that counts toward your total. If you always remember to treat your opener like it’s your last warm-up, you’ll make it with room to spare and point yourself in the right direction on the road to success. Then once you have crushed your opening attempt, you can rest easily that you’re in the meet. Now you’re feeling confident and ready for a solid second attempt that will hopefully set you up nicely for a shot at hitting a PR on your third. The second attempt serves as a stepping stone or launch pad to your third attempt. In the event that you miss your third attempt, a solid second attempt also builds your total. If I had a nickel for every time I’ve heard a lifter utter those words, I’d be chillin’ on a beach somewhere rather than running my own training center. Going for a PR on your second attempt, with even the suggestion that you might miss it, is a loser’s mentality. The likelihood of hitting a PR on your third attempt after you’ve already missed it on your second is as close to zero as it gets. It almost never happens. Do not venture down the path of stooges. I used to apply the same illogical methods to my madness. I would open too heavy and then jump to a PR attempt on my second. Then I started wondering why I was only making an average of four to five attempts per meet. It soon became glaringly obvious that my body and CNS weren’t ready for the shock of a big second attempt. It wasn’t until I began using my second attempt as a “stepping stone” to my third attempt that I resumed hitting PRs. Again, while there’s no fixed rule for second attempts, it’s still a good idea to think in terms of percentages. Subsequently, the second attempt is typically somewhere between 95-97% and no higher than 98% of your max. If we refer back to our 523-pound squatter who opened with 474 (90.6%), an appropriate second attempt would be 507 pounds or 96.9% of his max. That would represent a 33-pound (15kg) jump from the opener to the second attempt. This is both safe and very effective. Taking anything larger than a 33-pound increase would likely be too much of a shock to the CNS. While the lifter may in fact be strong enough to lift more weight, the body needs to gradually acclimate to the heavier weights especially when you’re operating at near-maximum intensities. Always make weight increases incrementally smaller. In other words, if you take a 33-pound (15kg) increase from your opening attempt to your second, do not take a larger increase of 44 pounds (20kg) from your second to your third. The rare instance when this would be applicable is if you’re trying to catch a competitor in the deadlift. Heavier and stronger lifters will be able to make larger jumps from their opening attempts to their second attempts. It’s nothing for Wade Hooper to jump 44-55 pounds (20-25kg) from his opening squat to his second attempt. As Wade is an accomplished pro and an 800-plus pound squatter, that’s entirely appropriate. However, if we take a closer look, a 20-25kg jump for Wade still represents about a 5% increase from opening to second attempts. Until you’re squatting or deadlifting 750 pounds or more, I’d encourage you to limit your jumps to no more than 38 pounds (17.5kg) between first and second attempts. Fifteen kilos is usually a befitting increase in the squat and/or deadlift for lifters with maxes between 500-750 pounds. For many females and lighter lifters, 22 pounds (10kg) and sometimes 27 pounds (12.5kg) is often a perfect jump from an opener to a second attempt. Weight increases in the bench press are obviously smaller as most of us lift less weight. However, when you run the numbers, you’ll find the percentages are essentially the same. A 300-pound bench presser would be wise to open between 270-275 pounds and take 285-290 on a second attempt. That would set them up nicely for a PR on a third attempt of 303-308 pounds. A solid second attempt prepares your CNS for a heavier third attempt, builds confidence, and adds to your total. Aiming for a PR on the second attempt is risky business and should only be done by very experienced lifters who recognize that they don’t have enough energy left for a big third attempt. In that rare case, expert lifters will occasionally pass on their second attempt thereby saving energy for a big third. Tony Harris, one of the world’s supreme deadlifters, is known for this strategy. He often opens light, surveys his competition, and saves himself for a big third deadlift. Tony is a cagey veteran who trusts his gut instinct. He always knows exactly how much he has left in the tank. For the rest of us mere mortals, be wise and take a solid second attempt that puts you in a nice position for a PR on your final attempt. In 2008 and 2009, the teams that made the most attempts have won at the Arnold Sports Festival. The third and final attempt is your last chance to add to your total. It’s also the right time to go for a PR. Assuming your second attempt was solid and you’re confident, then go for the PR! This is the moment we all train for. This is what powerlifting is all about – the next five pounds. All we can ever ask for is an opportunity. Lock n’ load and take your best shot. This is your chance to do something you’ve never done before. Seize the moment and ride the wave because you never know when it might come back again. Selecting an appropriate third attempt is simple. If you are going for a PR, choose the next five-pound (2.5kg) increment. This is one case where you’re no longer working with percentages. I have never understood why so many people want to take a large weight increase to a huge PR when lifting five pounds more is progress. Taking a shot at a huge PR (more than 10 pounds heavier than your previous best) is occasionally acceptable. If you’ve moved up a weight class, come back from a long layoff or injury, added a new piece of gear, or improved your training methodology, then going for a big PR may be justifiable. Other than that, just be happy with five pounds. This is especially true for intermediate and experienced lifters. We rake and scrape for every pound we can get. Huge gains are common for the novice but once you’ve been around the block a few times, gains come more slowly. Walking away from competitions with four PRs is an anomaly for experienced lifters. If your second attempt felt heavy or was more difficult than you anticipated, take what’s there – not what you want. Your training could have been on point and your body could be primed for a PR but if your second attempt took seven seconds to complete, there’s a good chance a PR just won’t go. Do not be so stubborn that you lose precious pounds and the chance to build your total. If you’re in a battle with another competitor, take smart attempts to stay ahead, keep pace, or gain ground. At the highest levels of competition, where winning is the primary goal, think in terms of making lifts first. Establishing PRs should be of secondary importance or saved for smaller competitions where you’re already ahead of the pack. Personal best totals are often achieved even when you don’t set PRs in every discipline. Exceedingly heavy second attempts are also dangerous as they can fatigue you to the extent of missing your third. Not only can a taxing second attempt hurt your chances at making your third, it can also hamper you in the next two events. The next time you’re at a competition, look for lifters that either grind out their second squat attempt and/or completely miss their third. Chances are they’ll only make two deadlifts. Your CNS may not be ready to accommodate 99% of your max on a second attempt. If we look at our lifter who opened with 474 pounds in the squat, imagine if he jumped to 518 pounds (99%). While this is five pounds under a personal best and he may indeed be able to lift 518 pounds, he could run the risk of it taking too much out of him for his third. Some might argue that the difference between 518 pounds and 507 is only 11 pounds (5kg) but when you look in terms of percentages it’s a difference of 2.1% and when you’re operating at intensities above 90%, that’s a substantial amount. I would much rather take my chances with 507 on a second which wouldn’t fatigue me quite as much and put me in a nice position for a PR on the third attempt. Always play your game and not someone else’s. Do not try to out lift someone whom you know is stronger than you. If your best bench press is 300 pounds and your competitor presses 400, you won’t catch them. Lift within your own capabilities and survey your competition after your opening deadlift. The deadlift is where you can make your move. Lastly, focus your efforts on surpassing your meet PRs. If you’re constantly trying to improve upon gym PRs, your progress in competitions will decline. Ultimately, you will be remembered for what you did on the platform not what you lifted in the gym. 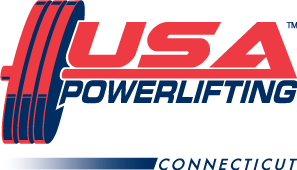 My years of experience assisting and coaching alongside USAPL President Dr. Larry Maile at the IPF World Championships has been invaluable. I have witnessed firsthand the perils of poor attempt selection. One can learn a tremendous amount simply by remaining silent and watching the best at their craft. When the stakes are high and the difference between snatching gold and finishing fourth is often decided on bodyweight or fewer than 10 kilos, every single attempt is precious. At national and particularly at the world championships, it’s not always the strongest lifter who wins but rather the lifter that makes the most attempts. Being consistent and building your total via eight or nine successful attempts is superb lifting. Don’t get me wrong, anyone can routinely make eight or nine lifts if they’re not pushing themselves or being overly conservative. Oppositely, it takes thought and precision to make that many attempts while forging past previous boundaries. Lifters who routinely finish competitions with fewer than six successful attempts need to rethink their approach. That’s not good lifting. Good lifters usually make at least six of nine attempts. Setting a PR isn’t always in the cards. All things are never equal and some days are better than others. When you step on the lifting platform, there are many factors you cannot control. However, the weight on the bar is always your decision. Choose wisely.